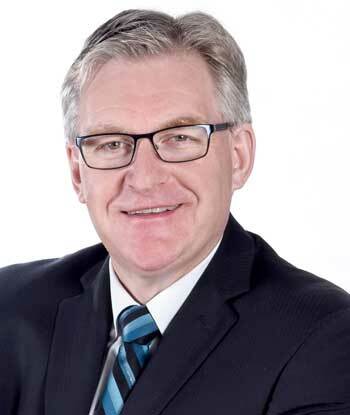 Keith Willoughby has been appointed interim dean for the University of Saskatchewan (U of S) Edwards School of Business effective July 1, 2016. The appointment is for one year while the search takes place for the next dean. Willoughby earned his BComm at the U of S, an MSc from the University of British Columbia and a PhD from the University of Calgary. He first joined Edwards School of Business in 1997 as an assistant professor before taking a faculty position at Bucknell University in Lewisburg, Pa. He later returned to the U of S as an associate professor before taking on the role of associate dean in 2011. Willoughby previously served as the associate dean, research and academic in the school where his portfolio included faculty oversight and management of the school’s research and scholarly activities, as well as responsibilities pertaining to business school accreditation. Willoughby also has experience in health-care process improvement and has worked for the Saskatchewan Health Quality Council as a senior operations research specialist. He is a former Hanlon Scholar, having pursued research in areas related to public transit systems, health-care analysis, logistics and sports analytics. Most recently he was the recipient of the U of S Master Teacher Award. Willoughby replaces Daphne Taras who has served as dean of the school for the past six years.